So one of my oldest pals says to me today, “new satriani today. i’m a bit afraid. when was his last innovative record?” That got me thinking about the guy(Satriani, not my pal.) 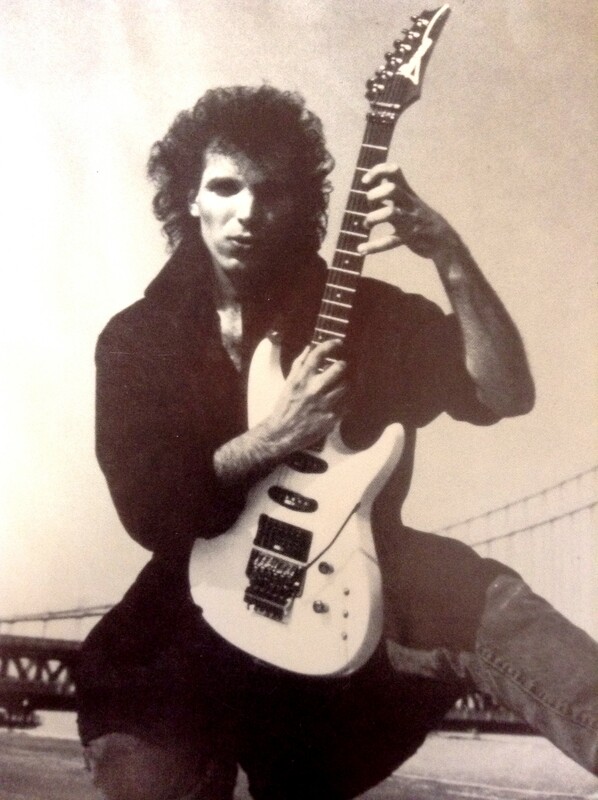 Of all the “shredders” that emerged from the cloud of White Rain and spandex back in the 80s I always felt Joe Satriani was one of the truly and legitimately innovative musicians. I mean, I piled through gobs of Shrapnel Records’ albums from 1987 to 1990 and thought some of those dudes were genuinely good -some great even- but only a very small amount had the extra thing that the rest lacked: feel. Without feel, you were left with some mullet-wearing, nimble-fingered guitar dude that could play aeolian and phyrgian scales lightning fast up and down the guitar neck, but work some sort of melody in there? Create some sort of emotional connection between the listener and the music? Nah, screw that. Just be amazed at all the notes I can fit into a single measure. Joe Satriani was different. He had(and still has) feel. 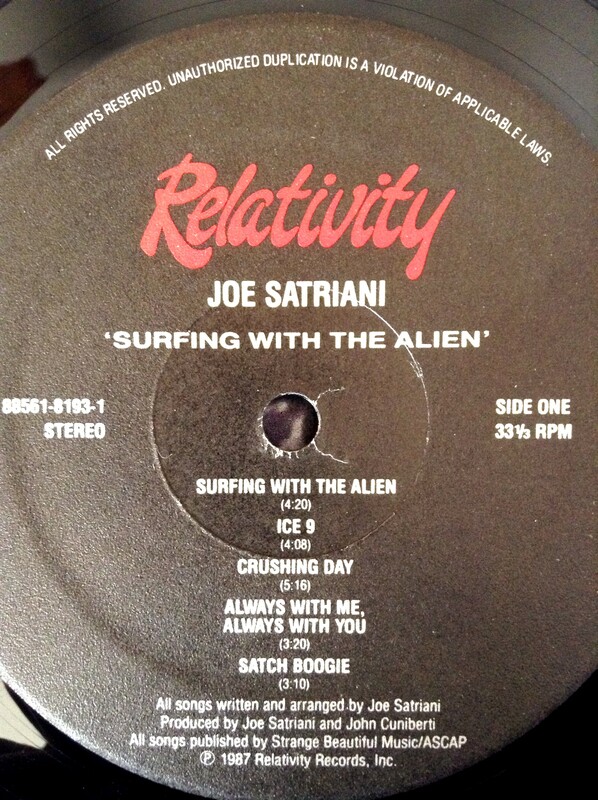 I can remember the first time I bought Joe Satriani’s seminal(and arguably masterpiece) Surfing With The Alien. I was 14, nearing 15 years old in my Freshman year of high school. It was October or November of 1988 and my mom took me out after school to buy me some nice Eastland leather slip-on shoes to wear for school. I have a pretty remarkable fashion sense, and I get that sense from my ma. Anyways, it was starting to get dark and after grabbing the shoes I asked my mom if we could head over the Butterfly Records in downtown Warsaw as I wanted to see if they had a cassette by this new guitar guy named Joe Satriani. Well, my mom wasn’t one to deny her boy the opportunity to enrich his musical tastes so she took me down there and bought me this funny little album by the guy with the Italian name. We popped the cassette into the tape deck of my mom and dad’s 84′ Honda Accord and I immediately had my mind blown. I mean, I hadn’t had those kinds of chills and funny feelings since I first heard “Eruption” by Van Halen when I was 8 years old(and that time that Carrie Fisher sent me an autographed head shot and signed it “Galactically Yours, Carrie Fisher”.) Up to this point I’d heard plenty of guitar virtuosos, including two that were former students of Joe’s(Steve Vai and Kirk Hammett to name two), but no one that was so directly influenced by guys like Hendrix, Jeff Beck, Ritchie Blackmore, and Brian May(I’d even say there’s some Billy Gibbons influence in Satch’s harmonics technique). There were no Bach and Beethoven “thank yous” in the liner notes of Surfing With The Alien. He seemed to be just this humble little Italian guy that happened to be a guitar virtuoso. This was the kind of guy that I wanted to put on a pedestal and worship, not these other guys that were just as concerned about the bulge in their zebra-striped spandex than they were about creating something memorable in their music. Joe was my guy! The songs on Surfing With The Alien were key to making the guy a legend. Sure, he could shred with the best of ’em. He studied under jazz guitarist Billy Bauer and reclusive jazz pianist Lennie Tristano which gave him the drive and determination to create a technique; a style of his own. But he never forgot those rock and roll roots, and album opener(and title track) “Surfing With The Alien” proves that with its mix of 12-bar blues and space-out dive bombs with the tremolo. The solo goes back and forth from playful boogie and Middle-Eastern flair. The thing is, Satriani doesn’t just make up some dummy tracks to solo over like most guys did back then. He actually makes catchy songs and melodies that stick in your head. Much like Jeff Beck did with Blow By Blow, Satriani made an instrumental guitar album that was just fun to pop in and listen to. Those incredibly sick solos were just icing on the rock and roll cake. Then “Ice 9” comes in and all bets are off. To this day, I hear the solos on this song and a chill goes up my spine. Forget that the song was influenced by Kurt Vonnegut’s novel Cat’s Cradle(or that the album title is a direct reference to Marvel’s Silver Surfer for God’s sake), and just behold the magic of that freakin’ solo! Switching from different pickups and effects pedals, you get the feeling it’s like some interstellar guitar duel. It’s jaw dropping. “Crushing Day” is a hard driving track with some great drums and a soaring guitar line in the chorus that leads to some killer riffing. Everyone loves “Always With Me, Always With You”, and it is a lovely little ballad. I think he wrote it for his wife Rubina. I do like it. It’s a nice little interlude before we are knocked over the head with the outerspace overdrive boogie of “Satch Boogie”. Here’s where that Billy Gibbons vibe hits, with a mix of “LaGrange” and Jeff Beck’s “Freeway Jam”, with some of that Satch voodoo thrown in. It’s a stunning song, and one that my parent’s never minded cranking up in the car(or in the garage on a Saturday night with a few beers in ’em.) Side two opened with the towering and frightening sounding “Hill of the Skull”, then goes rignt into “Circles”. Side two is decidedly moodier and shows a side of experimentation in Joe. I’ve grown to appreciate these songs, “Lords of Karma” and “Echo” especially over the years. The guy didn’t need to melt your face with killer speed picking and finger tapping(though he could) in order to hold your attention. Satriani made melody-driven songs that stuck in your craw. Joe went on to make his two biggest album after Surfing With The Alien. Flying In A Blue Dream in 1989, and then The Extremist in 1992. He still puts out albums today, as my friend pointed out. And while I bought every record he released clear up to 2004s Is There Love In Space, for me none have captured that magic of Surfing With The Alien. For the most part all solid records, but all seem like their DNA strands lead back to that 1988 masterpiece. In between there have been some really great albums, though. 1993s Time Machine was a great double album of leftovers, rarities, and outtakes on disc one, while disc two had some live recordings. 1995s self-titled Joe Satriani was his stab at working with a studio band of big names and a big time producer. Glyn Johns manned the boards and Joe was backed up by the likes of Andy Fairweather Low on rhythm guitar, Sting’s drummer Manu Katche on percussion, and the Bissonette brothers helping out as well. Very low key, gritty record for Satch, and recorded live, it’s a stand out in his discography. 2003s Strange Beautiful Music really captures some of that Surfing magic. It feels less fussed over and more about feel than some of the other, more produced albums that came before it. Joe was the first concert I ever saw as well. My brother took a friend and I to see him at the Embassy Theater in Fort Wayne, Indiana back in the spring of 1990 for the Flying In A Blue Dream tour. It was amazing. Then in 1994 my wife(then girlfriend) headed up to Grand Rapids, Michigan to see him at The Orbit Room. Up close and personal, that was a special show for sure. One can’t complain about Joe. He’s been a solid maker of instrumental guitar records for almost thirty years now. Over time some of the later records have become a little on the “same-y” sounding side of things, to my ears anyways. But as a passionate and virtuoso guitarist he hasn’t feigned a bit. The guy is a monster guitarist and no one even comes close to his ability. I’ll throw fisticuffs over that right there. One other thing I’ll get Jack Johnson and Tom O’Leery out over is Surfing With The Alien. It’s a classic, up there with some of the great guitar albums of our time. It’s up there with Blow By Blow and Wired as one of the best. I’ve owned this album in three forms. I had the cassette in 1988, then in 1992 I bought it on CD. Back in 2013 on a vacation to Schaumburg, Illinois I found a near perfect original pressing on vinyl at Rainbow Records. I spin it often. If I had some Eastlands I’d wear those, too. I may not keep up with Joe these days, but I still love the guy. And he can still melt my face right off. One of the rock stations I used to listen to played the song Surfing with the Alien as a theme song for one if their programs, so I got to hear it every day, and I never grew tired of it. I love his guitar playing as well, but I wish he would do it bit more like Slash and possibly every other album include some guest singers/musicians to keep it fresh. Local radio around here used quite a few songs off Surfing for promo spots and shows as well. Worked well for that. I agree. Mixing things up would be a good thing for him. I don’t think I know any Joe Satriani. Truth be told, he’s never been an artist I’ve had any interest in, but I’m digging your enthusiasm for Surfing With The Alien. I would highly recommend ‘Surfing’, then give his self-titled ‘Joe Satriani’ a listen. I think you would really like that one. Seems like your kind of record. I shall check out both of these albums, sir – like to get my ears around new tunes! This is the only Joe I own. Don’t really know it that well at all. As it’s after 11pm now, perhaps tomorrow might be the time to break it out for a spin. You should definitely break it out and give it a spin. It really is quite a wonderful guitar record. “Echoes” is one I think you would quite enjoy. Loved this heartfelt review. Shallow dude, as I am, I think part of the allure is the LP cover. 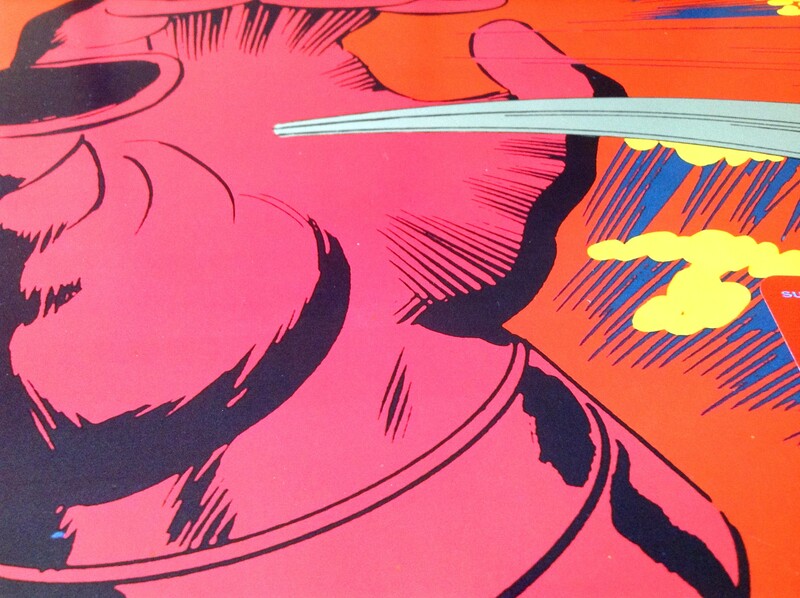 Joe was a sci fi/comic book nerd, just like us.